A college graduation is worth celebrating. Gather your friends and relatives to commemorate the occasion with you by using one of the great invitation options below. These free invitations are fitting for any college graduation party. 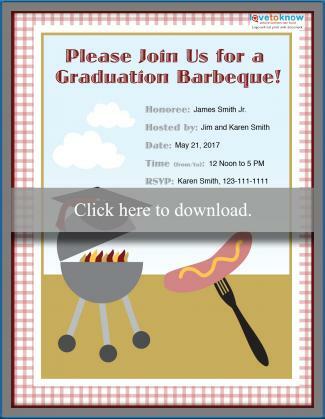 Click the invitation and then save the template to your computer so you can work on them in your free time. Print them off several weeks before the big day so everyone has time to make plans to attend. This is a classic invitation that is perfect for almost any type of party. If you are planning an open house, simply fill the RSVP information in with "None needed!" A seated dinner party is an elegant end to your college career. Send these invitations out so guests know what to expect at your celebration. These casual invitations will get everyone together for a festive party in your backyard. 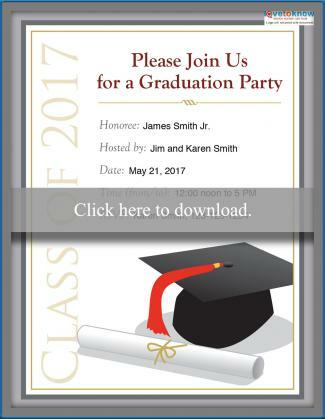 In addition to free printable college graduation invitations, you can also find plenty to send online and ones available pre-printed for purchase. Paperless Post: Search for invitations by not only color or size, but also by designer and price. Find the right one faster by using the search tools. 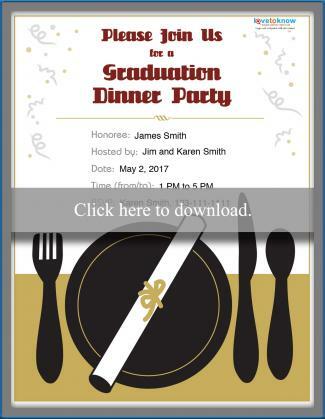 Greenvelope: Pick out one of the special graduation invitations available from Greenvelope. While they do cost to send, you can sign up to receive a free trial. Evite: Evite is one the most well-known online invitation companies, and for good reason. They have an enormous amount of styles and designs to choose amongst when it comes to graduation, and make it easy to customize them to your particular party. 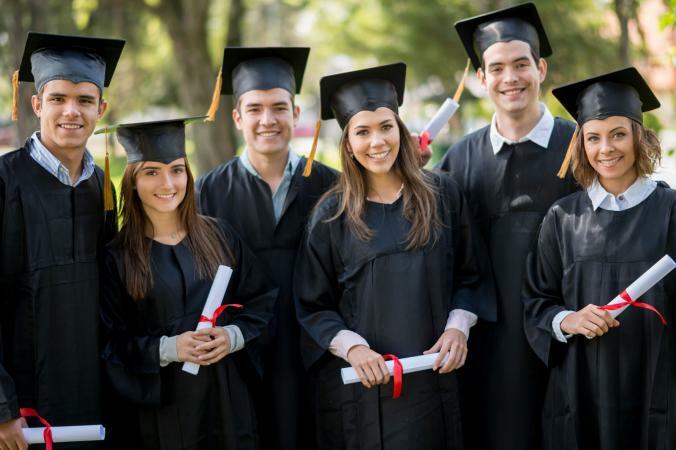 Collegiate graduates who want to show off their school spirit should check out companies that have licenses to print the college name and emblems on invitations. Search for your school through companies like Josten's and Herff Jones. Choose the package you desire and edit the wording for your announcement invitation. Some companies also set up kiosks in the school bookstore or library, so check there, too. If you can't edit the announcement wording, simply slip a small card into the envelope with your party information. Shutterfly: Adding a photo or two to any college invitation will personalize it. If you're hosting a party after the ceremony, use one where you are in your cap and gown. Pick the color search to look for your university's colors. Pear Tree: This website has plenty of elegant options for a college graduate, and you have the option to add photos to some designs. Even if the original wording is just a simple announcement, you can always customize it to include your invitation information. The Invitation Shop: Unique options are affordable at The Invitation Shop. Look for trendy graphics or die-cut graduate figures to make your invitation stand out amongst the rest this season. Finishing your college degree is truly something to celebrate. Pick out an invitation that will help gather your friends and family to join in the festivities now that your hard work is finished.